Description: The Kircher Farm is located in Cass County, Mo. 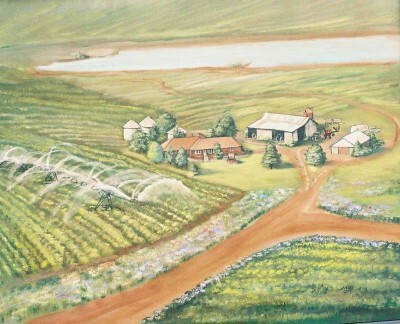 The Kirchers were the first farm in the County to put in an overhead irrigation system. This irrigation system makes it possible to water 40 acreas of crops in one revolution.